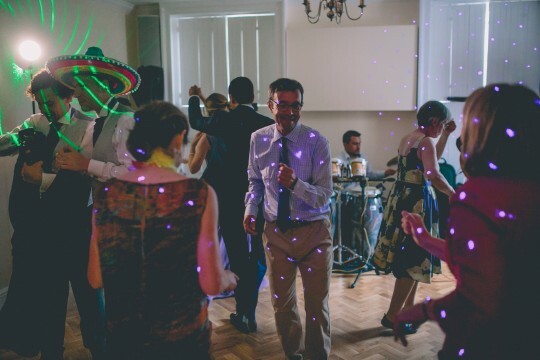 Lucie and George hired Trio Luna for their beautiful wedding at Pembroke Lodge in Surrey and loved their latin style! 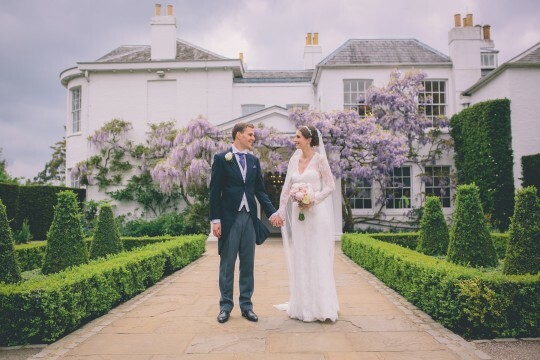 Our wedding was held at the beautiful Pembroke Lodge in Richmond Park. We live near Richmond and regularly visit the park – the Lodge is one of our favourite places, perched on a hill overlooking the Thames Valley and it’s full of history. It was the only venue for us! We didn’t have a ‘theme’ as such, but went for a classic, elegant style to complement the Grade II listed Georgian Lodge. 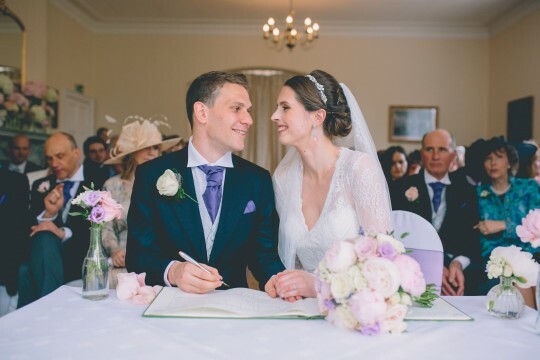 Our colour scheme was pastel pinks and purple, blended with classic ivory. 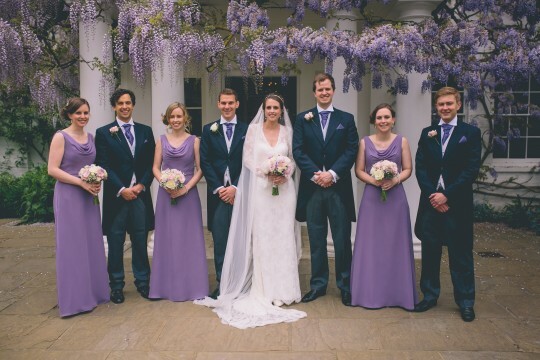 Bridesmaids wore purple and this looked stunning against the backdrop of the Lodge covered in perfect wisteria. We also had a 1960’s classic Jaguar to help set the scene! 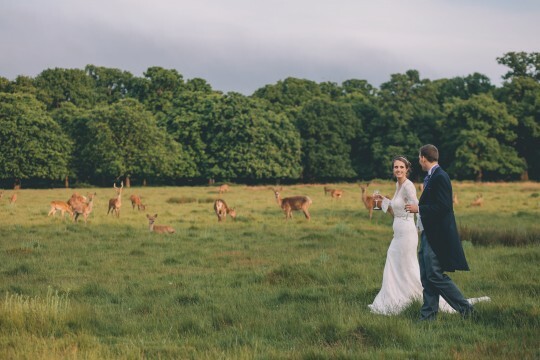 My favourite moments of the day were walking down the isle to my husband-to-be, being told that we had officially become husband and wife, and taking some time out early evening to go for a stroll in the park and get some snaps with the Richmond Park deer! For our evening reception, we booked latin band Trio Luna who played 3 amazing sets – we have been to plenty of weddings with tired DJs playing the same old stuff, and wanted something completely different for our big day – we chose a latin band to remind us of our amazing holidays and to get our guests in the mood to strut their stuff on the dancefloor! We were really impressed with the act on the night, and they finished off our day just perfectly. We had spoken in advance to discuss song choices etc and found them very helpful and professional to deal with. After we booked them, we went to see them play live at a pub gig and were so pleased with our choice! 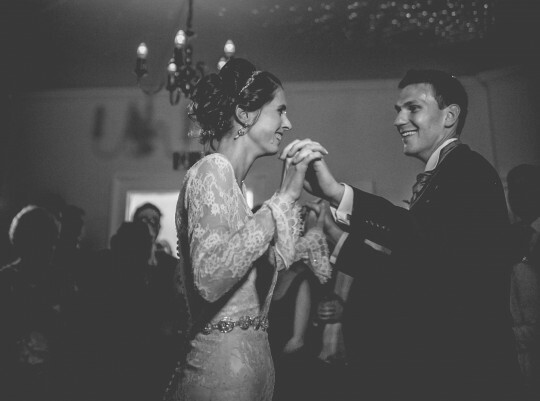 They were really accommodating, and gave us advice to help us choose the song for our first dance! 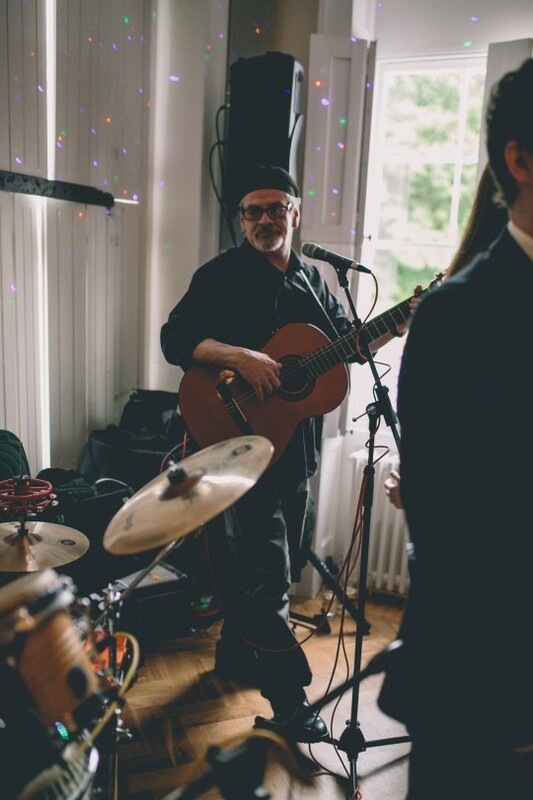 We were very satisfied; the band were very professional and friendly. They went down very well on the night and it was great to have something a bit different to entertain our guests! I found the whole booking process with Function Central really easy from start to finish, and the team were really helpful to deal with. I booked with Function Central due to the wide variety and choice of acts on offer – a much wider choice than any other booking website. We were very satisfied, the agency responded very quickly to all of my questions and the service was very efficient and professional, thank you! My advice to other couples is to go and see your act play before booking if possible to make sure they are right for you. Also take time before the event to discuss your preferences and choices to try and tailor the music on the night to make it really unique. 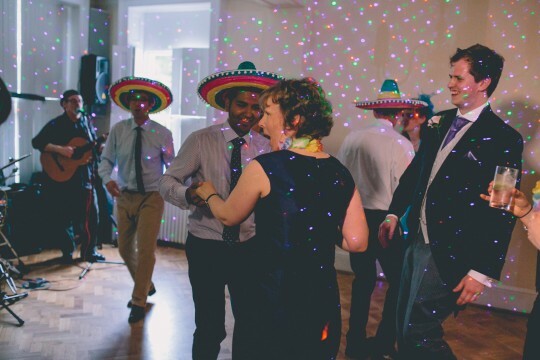 Photographer – Story & Colour (Dan Corbett) – We love Dan’s style and he captured an amazing selection of photos of our big day. Very easy going and a pleasure to work with. Flowers – Wrap & Tie Floral Design (Steph Brenner) – Steph produced a fabulous array of flowers for our big day and made the Lodge look splendid. 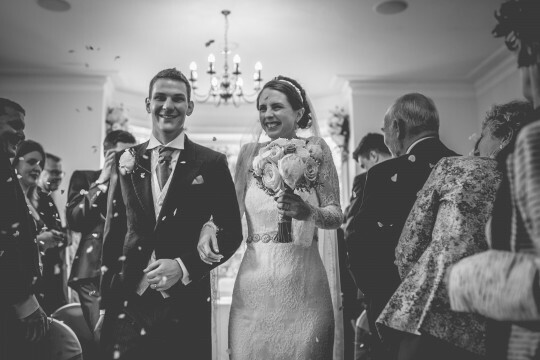 Dress – Grace & Lace Chelmsford (Maggie Sottero) – I really enjoyed visiting the store for my appointments and the staff were really helpful and friendly and patient with all of my alterations! Cake – Hummingbird Bakery – Delicious 3 tier wedding cake that looked fab and tasted even better! Car – Weybridge Classic Wedding Cars – We had a 1960’s classic cream jaguar which was a really special way to arrive in style. Stationery (invites, table plan, place cards etc) – Holly Francesca – Holly designed a suite of bespoke items for us which were beautiful and complemented the day perfectly. 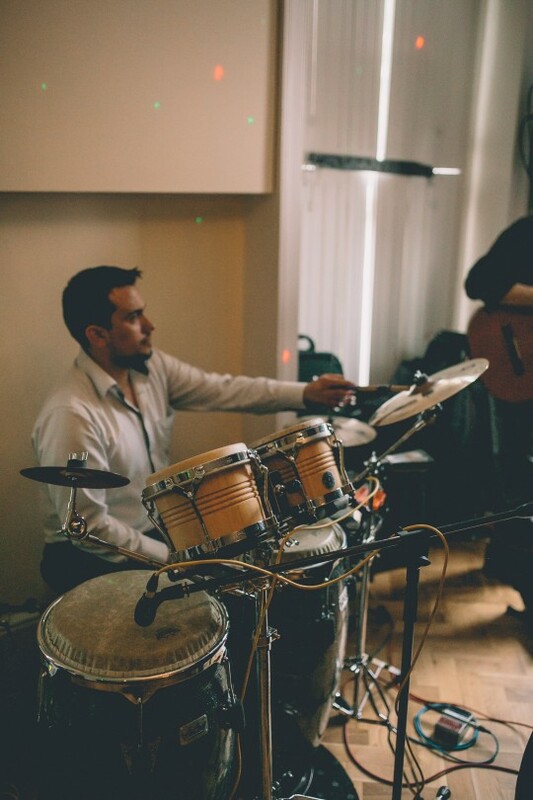 Latin and salsa duo or trio, providing festive and tropical music for weddings, parties, functions and festivals.